When it comes to professional writing, nailing the right tone can be a challenge. First, because tone is often confused with voice. 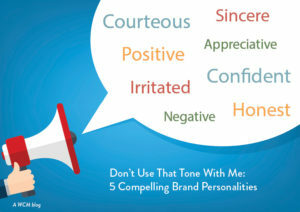 While voice is the purposeful and consistent expression of a brand through writing, tone is the attitude or personality that can change in writing. Tone is often confused with voice, and it is also secondary when editing for spelling and grammar. But tone, however, is crucial. Studies show people misinterpret the meaning and tone of emails as much as 50 percent of the time. So what tones should you use and what tones should you be cautious of? When referring to yourself in writing, make sure you sound certain. Your manner should communicate your preparedness, and consequently persuade your readers you are qualified, making them more likely to respond. Using a proper greeting, addressing a person with their full name, and using complete sentences to avoid sounding short or sarcastic are all ways to ensure your writing Is courteous. This tone also comes in use when having to deny a request or decline an offer. To ensure smooth correspondence in this situation, it helps to express gratitude, offer to stay in touch, and remain clear on the reasoning in your decision. Expressing thanks and writing with regrets are both ways to recognize the person on the receiving end of your writing. Sometimes, it is beneficial to not only thank a person for a particular task, but for their contribution as a whole. Sometimes brevity is interpreted as curtness. Make sure when you shorten words or phrases, you re-read your sentence to ensure the tone hasn’t shifted. If you’re further interested in reviewing the tone of your emails, check out IMB’s Tone Analyzer. You can copy and paste your writing and it will detect certain tones including joy, fear, sadness, anger and confidence.